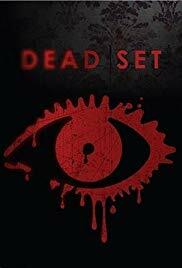 Dead Set is a 5 episodes TV-series (141 min in total). As zombie outbreak ravages England, the unaware candidates of a Big Brother-like TV show soon realize that they are left alone to face the terrible plague. Dead Set is a fascinating zombie-related TV series. What I was thinking to be a low-budget telefilm is in fact a great piece of zombie horror, worthy of some of the greatest zombie flicks. 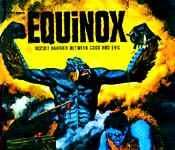 It brings some interesting novelties to a genre that seems to be repeating itself over and over recently. The idea of the Big Brother show is brilliant and really well implemented here, with the presence of Davina McCall as the real TV show presenter further adduîng to the realism of it all. As in a real TV show, the characters are all very special and with extremely exaggerated personalities. All this show-like atmosphere fits surprisingly well with the zombie genre, giving to the film an almost theatrical style. The director is an especially amazing character, and you will love to hate him! Overall this series is fast paced and packed with action. There are no major surprises or twists in the plot, but you should love it anyway.